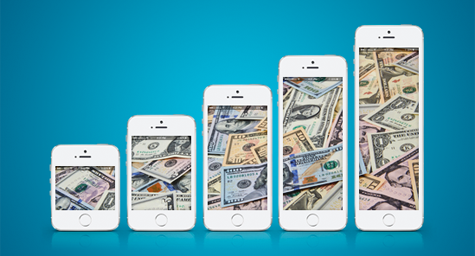 Mobile advertising spend isn’t just growing quickly, it’s growing awe-inspiringly quickly. According to 2013 data, companies nearly tripled their mobile advertising budgets last year, and they are expected to boost that by an additional 65% this year. While this rapid growth is exciting, it has also been a challenge for many brands. After all, the channel is fairly new, and it is often difficult to determine which tactics are the most effective. Banner-ad “blindness” is a concern across all digital platforms, but it is especially important when it comes to mobile. Why? Because consumers often have less time and screen real estate to view content on their devices and so are quick to scroll. An analysis by COULL of click-through rates (CTRs) for various types of ads found that mobile display ads have an average CTR of .35%, significantly below the average CTRs for mobile native ads (1.37%), mobile Facebook newsfeed ads (4.5%), and mobile video ads (11.8%). This doesn’t mean that you should avoid mobile banner ads altogether—they can be very effective if served to the right consumers in the right places—but it does mean that you should make sure that your mobile spend includes non-banner offerings as well. According to one analysis, mobile in-app ad spend is growing at around 60% a year and is expected to surpass desktop online display ad revenue by 2017. This surge in popularity is due to a shift in consumer behavior; increasingly, smartphone and tablet users turn to apps first when engaging with their devices rather than opening up a browser. As with banner ads, this trend does not mean that you should ignore mobile Web advertising, but it does suggest that an effective spend should include a fair amount of in-app media. Mobile currently makes up just 1.7% of local ad spend, but that share is projected to jump to 7.1% by 2017. Why the huge increase? Because in many ways, mobile ads are the perfect channel for any business with a local component. After all, mobile ads can be precisely geotargeted and can be delivered while consumers are on the go. For many brands this means that local ads—both those that are platform agnostic and those that are device-specific—can be highly effective on mobile. One of the biggest challenges with mobile ads right now is that there are so many avenues for channeling your spend, including thousands of app creators, ad networks, and publishers. What is an advertiser to do? A good starting point is with Google and Facebook, both of which have smartly expanded their mobile ad offerings over the past few years to incorporate their own properties as well as a wide network of other mobile sites/apps (via things like Facebook’s Audience Network and Google Mobile Ads). Each has its drawbacks, but both also have the huge advantage of allowing you to manage a diverse set of mobile ad offerings in one place. By no means should either be your only mobile ad platform, but they are worth seriously considering as a hub for your spend. Finally, no matter which platforms you use and what types of units you invest in, make sure to target your mobile ads as much as possible. This is essential because consumers have a very low tolerance for irrelevant ads on mobile and because the capabilities of many devices (GPS, etc.) allow for targeting options that can dramatically improve effectiveness. Ultimately, these strategies work best when used together. Some may take a fair amount of effort to implement, but if you take the time to pick the right mobile ad units, platforms, and targeting options you should see a significant boost in effectiveness. Mobilize your brand’s mobile advertising efforts. Contact MDG Advertising today at 561-338-7797 or visit mdgadvertising.com.